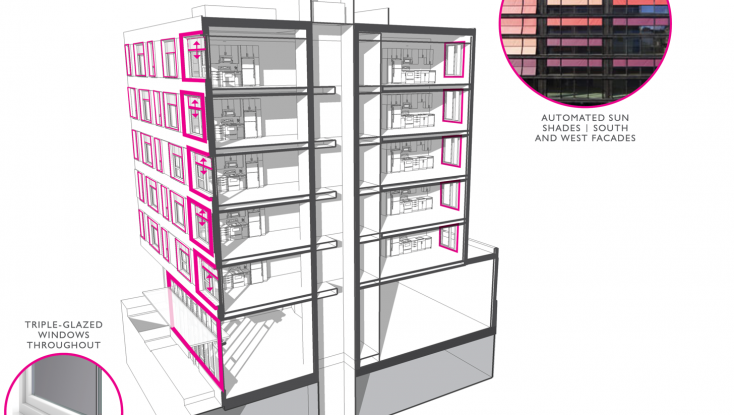 Passive House opportunities are still few and far between. 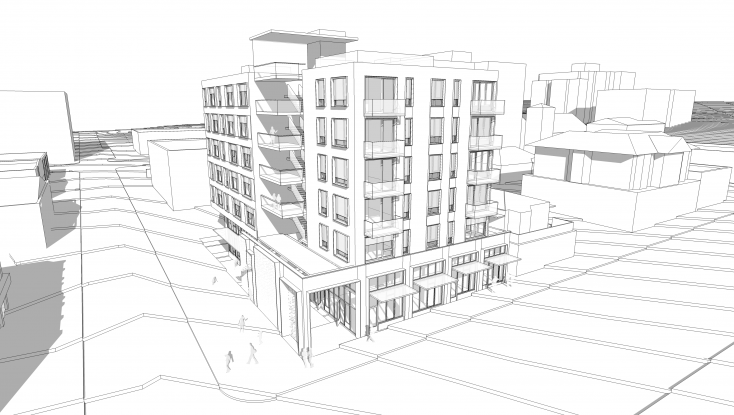 This project is a six-story, 30,000 SF multi-family apartment project located on the Pike-Pine Corridor in the heart of Capitol Hill. 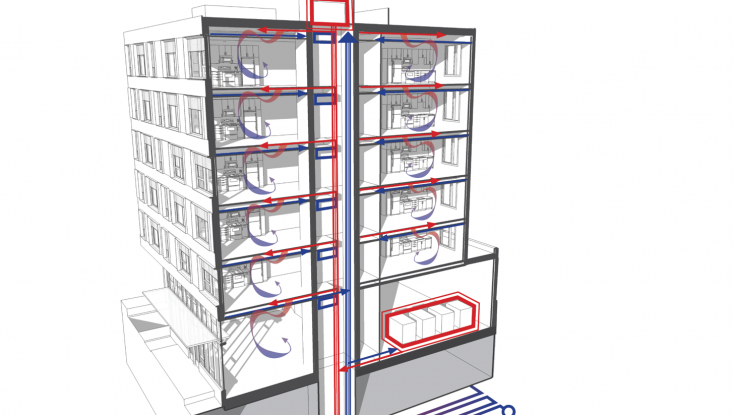 The design team is targeting PHIUS Passive House certification, a high efficiency building method that utilizes superinsulation, airtight construction and heat recovery ventilators as a means of reducing or eliminating “active” heating and cooling of the building. 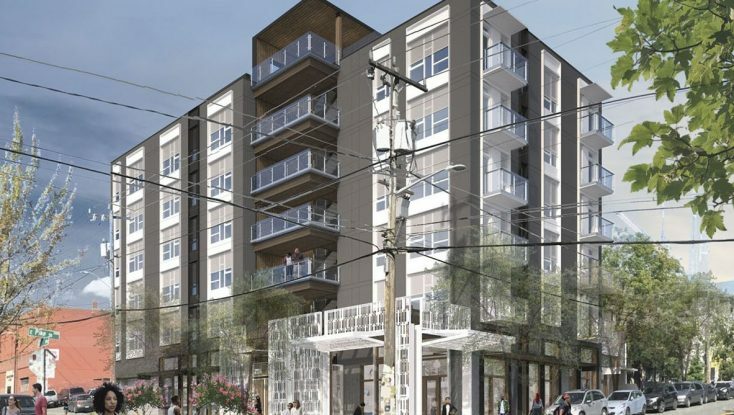 The project is one of the largest projects in the Pacific Northwest currently seeking PHIUS certification and will utilize design strategies that include automated solar shading devices, triple pane windows and a centralized HRV system with integral heat pump system. 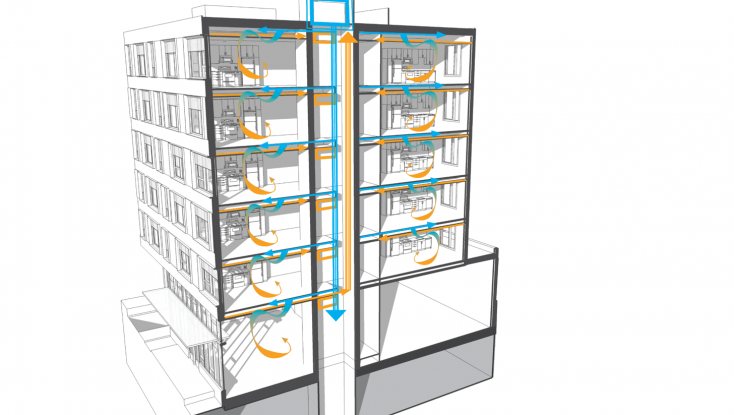 The design is intended to demonstrate the benefits of Passive House, which emphasizes energy efficiency, but also includes superior thermal comfort, noise control and indoor air quality. Project is being designed by Weber Thompson and constructed by Cascade Built.